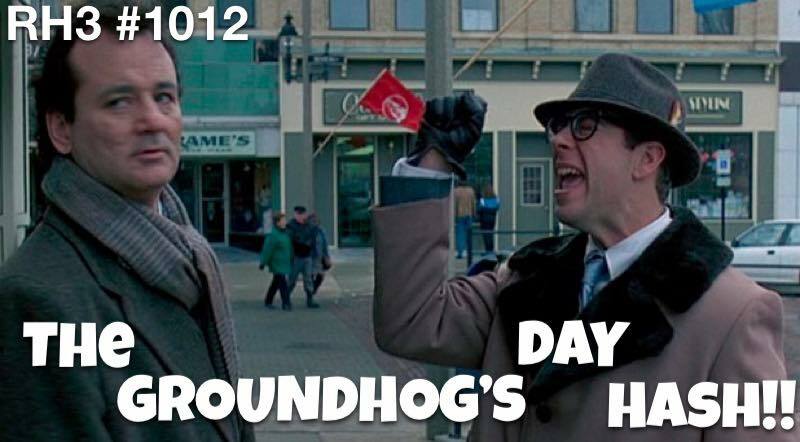 Reading Hash House Harriers: RH3 #1012 The Groundhog's Day Hash!! RH3 #1012 The Groundhog's Day Hash!! Bing!! 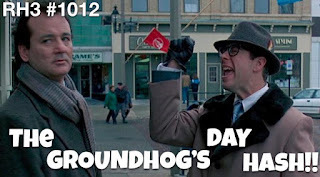 Back by popular demand, the RH3 Groundhog's Day Hash... or maybe we're just stuck in that endless vortex and we're destined to have to repeat this one. Over. And over. And over. And over. Either way, it's looking to be a dooooooozy!! Am I right or am I right or am I right?! Right. Right. Saturday, February 2 @ 2PM Bing! $5 Hash Cash and $12 Buffs (while supplies last) Bing! I'd love to stay and talk with you... but I'm not going to.